2001, finished in Deep Aqua with Cotswold fine lines and a Cotswold and French Navy interior confirmed by the original build sheet in the car's history file. 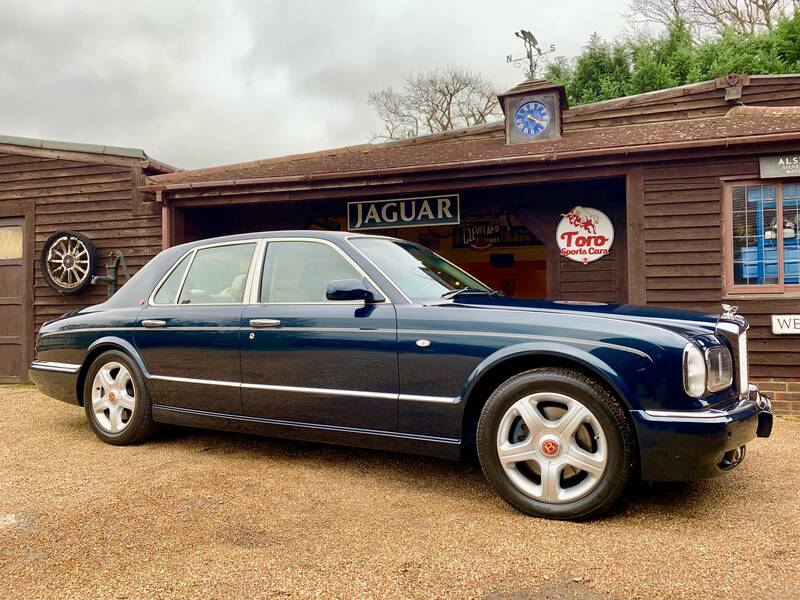 This fabulous Arnage was supplied new by Jack Barclays Ltd and has had just one owner covering a total of 50,000 miles with a full main dealer Bentley service record. Already being remarkably well spec'd for its time this Bentley in addition came with: satellite navigation, sunroof, rear armrest, foot rests, lambswool over-matts to name a few. The car also boasts the original un-opened umbrellas, factory trickle charger and un-used standard over-matts. A credit to the only owner of a car that is difficult to fault. Outstanding in every respect.